Our group challenges are designed to help you increase strength, lose fat, boost your aerobic and anaerobic capacity and improve your overall quality of life. Our experienced coaches will take you through a dynamic warm-up to prepare your body for the challenge of the day. No two challenges are the same so you’ll never get bored! Instead, your mind and body will be pushed to the max. Our coaches will teach you the proper mechanics of every exercise and show you strategies for increasing (or decreasing) the intensity to match your fitness level. If you’re injured, have orthopedic issues, or just are not feeling 100% on a particular day, we’ll modify your exercises so you can still complete the class at your own pace. We offer training six days per week—20 fun classes to choose from! Looking for a more customized gym experience? Personal training affords the opportunity to complete workouts designed just for you based on your specific goals and medical history. 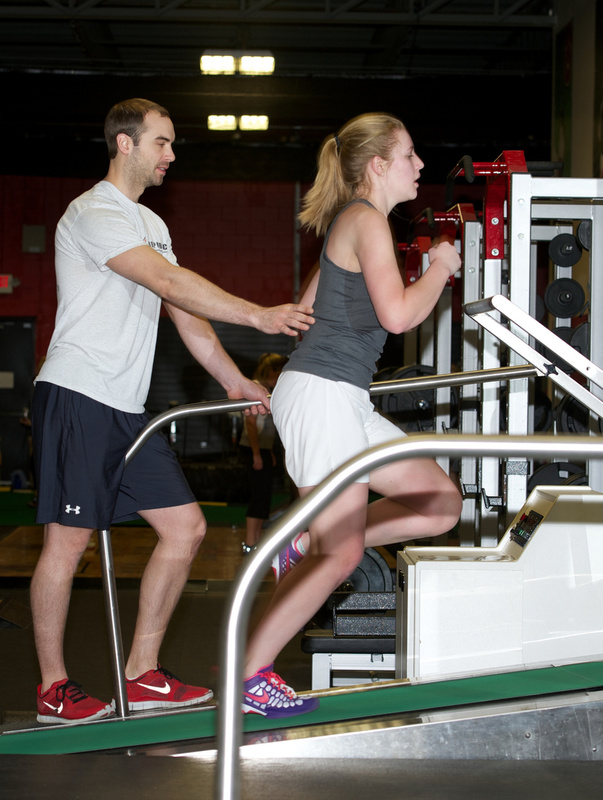 Our coaches will create a program to help you reach both short- and long-term fitness goals, whether you want to improve body composition, enhance sport performance, or gently return to exercise following an injury or long hiatus. Having the undivided attention of your coach also is the best way to learn and refine more technical exercises, such as Olympic lifts or high-speed running. Think of your personal trainer as your guide and partner on your fitness journey—someone to share knowledge, provide motivation, and demand accountability. In other words, someone dedicated to helping you achieve results. 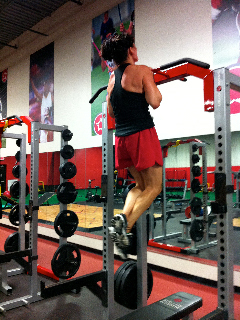 Personal training is a fantastic way to get you on the right track to your personal fitness goals. Schedule your initial appointment today! Do you have a friend, spouse or co-worker you’d like to train with? Our small-group training delivers the perfect opportunity to mix friendship with fitness. Small-group training provides the benefits of our group challenge classes – but on your schedule. Simply choose whom you want to work out with and when you want to sweat. We’ll tailor a program just for your group. Whether you are training for the Boston Marathon or the local 5k, AR-FIT has everything you need to take your performance to the next level. With the Athletic Republic Super Running Treadmill (RTM) and guidance from your certified ARX coach you will have all the tools for success. With our patented RTM we’ll help you dial in your running mechanics, boost your leg strength and speed, and send your confidence through the roof. After training on the RTM you’ll feel like you’re running on air so get off the road and onto the treadmill a few times a week to maximize your results. Athletic Republic’s scientifically designed protocols are designed to keep you safe and on track to blow away your personal goals. Looking to compete in adventure-style races like Tough Mudder or Spartan? These events bring together an array of unconventional physical challenges designed to test both your physical and mental toughness. In other words, they are no Sunday walk in the park. Preparing for an adventure race demands a program that mixes traditional and unconventional training methods. At AR-FIT, we understand adventure racing. Several of our coaches have competed in numerous events, including the Tough Mudder – one of the most challenging of all. 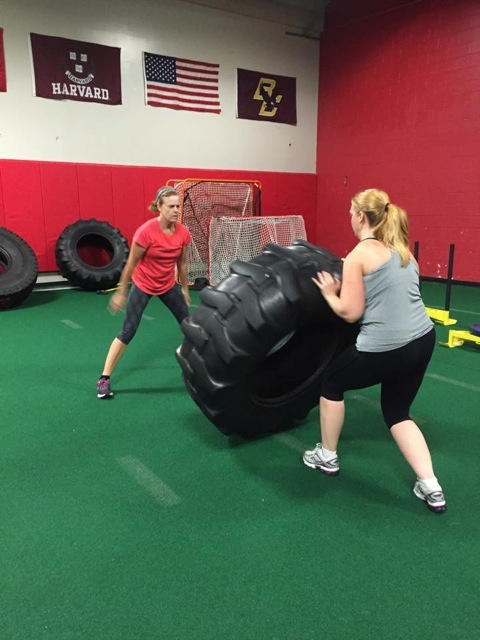 In a small-group setting, we’ll create a training program geared toward a specific event, and help you get ready to tackle any obstacle you may face, whether that involves running through fire, bear-crawling through rivers of mud or diving into dumpsters of ice. We’ll help you hone your strength, power, endurance and obstacle course skills so you’ll be ready come race day.